Keep the mud and dirt away from your engine! 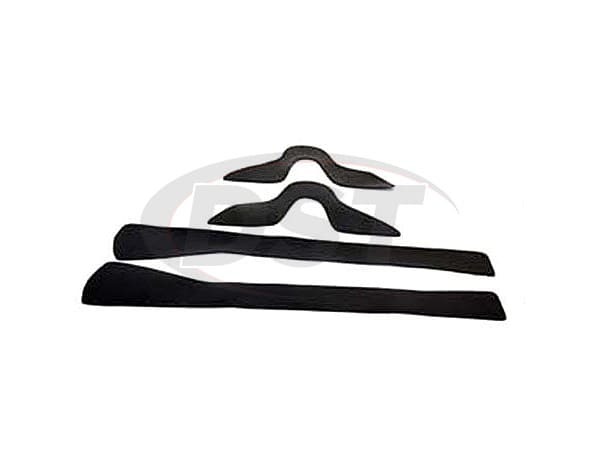 Performance Accessories Gap Guards are a must when improving your Truck, Jeep, or SUV with a Performance Accessories Body Lift. Gap Guards improve your vehicles looks and help keep your engine compartment clean whilecovering unsightly components like exhaust manifolds, wiring, and other internal components. Manufactured from the highest quality poly urethane for long lasting durability. Performance Accessories Gap Guards are precision made in CNC machined forms to ensure exact fitment for your Truck, Jeep, or SUV. Each Gap Guard kit comes with all hardware and complete installation instructions.